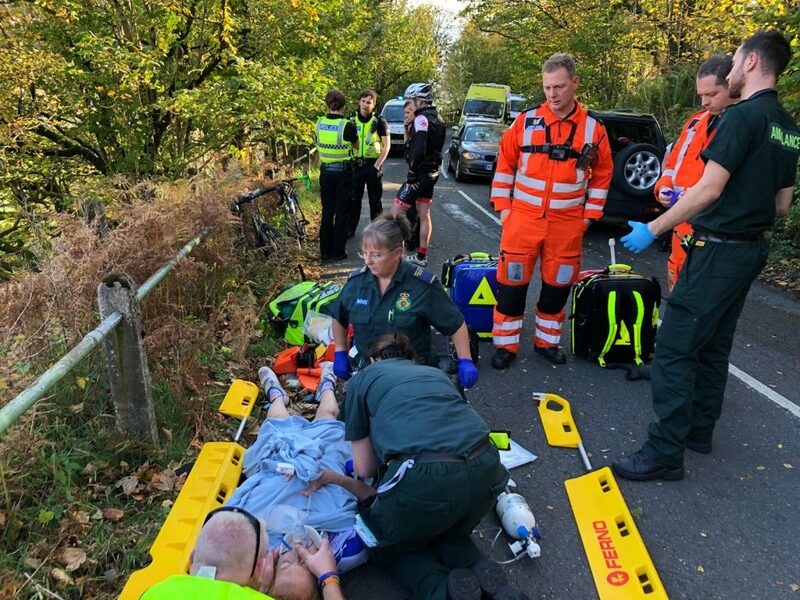 Triathlete Samantha Sugden was airlifted for the second time after a bike crash left her fighting for her life – now her story has featured in a new More4 series. Just months after raising money for her rescuers at the Great North Air Ambulance Service (GNAAS), Samantha Sugden needed the flying medics’ care again after colliding with a bus at Kirkstone Pass, near Ambleside. The incident, in October last year, left Miss Sugden, 38, from Penrith, with an “annihilated spleen” and facing life-saving surgery. It also reunited her with the team at GNAAS, to whom she was already familiar following a previous bike crash in August 2017. On that occasion, Miss Sugden was on a social bike ride with friends near Keswick when she hit a sinkhole, causing her to be thrown from her bike. She sustained injuries to her brain and skull, fractured ribs, lacerated spleen and an arterial bleed. It took the mother-of-two six months to recover from that incident. Miss Sugden, who has been doing triathlons since 2012, managed to return to the sport last year and decided to set herself a special challenge in September – to swim the full length of Ullswater in aid of GNAAS, which is charity funded. Miss Sugden took four and a half hours to swim from Glenridding to Pooley Bridge and raised around £1,000 for the charity. However less than three weeks afterwards, Miss Sugden was unlucky enough to require the services of GNAAS again when she was involved in the bus collision. 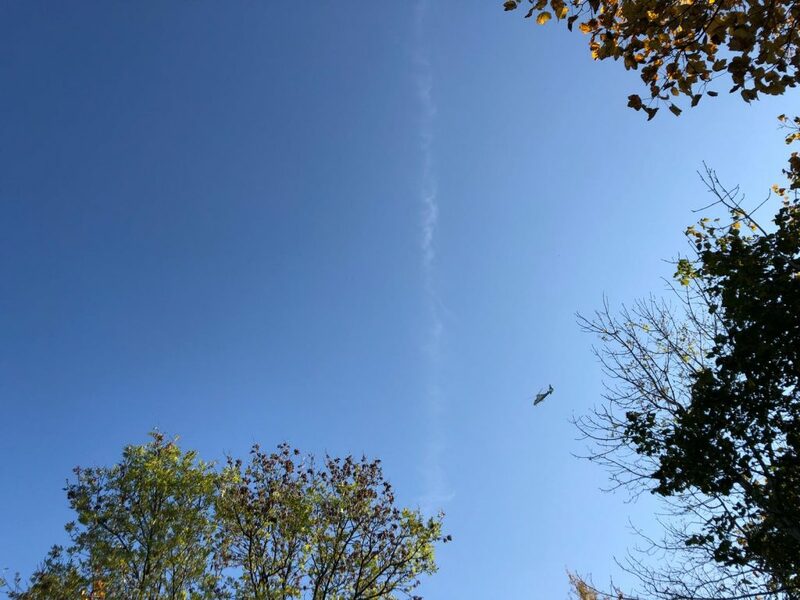 After being assessed and treated by the GNAAS paramedic and doctor team, she was flown to the Cumberland Infirmary in Carlisle, where she spent seven days recovering. 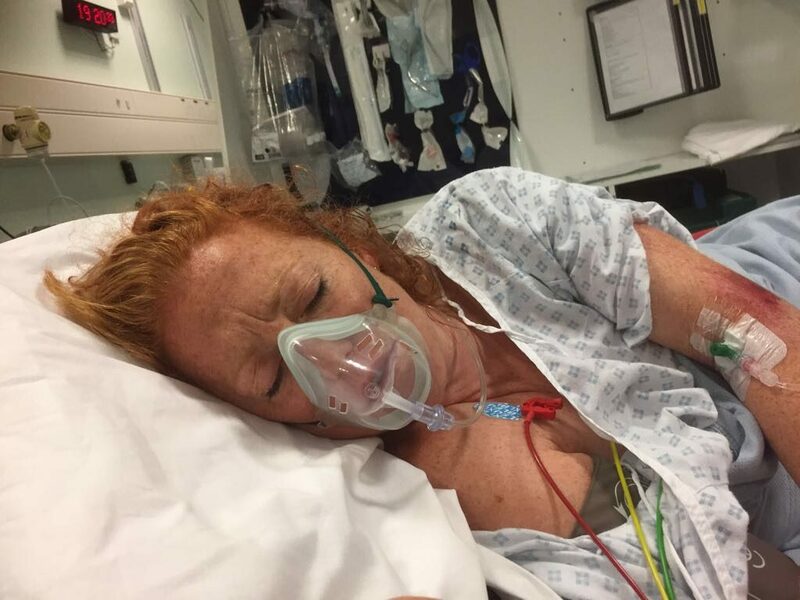 Now her story has been featured in the new series of More4’s Emergency Helicopter Medics, which started its second series run on Sunday 3 March. Speaking about her ordeal, she said: “I remember everything from this time around, and I knew I’d broken my collarbone but I thought I was alright. I didn’t realise I’d totally annihilated my spleen and I ended up having life-saving surgery to remove it. I was in a bad way but I am really lucky to still be here. “GNAAS saved my life and I’m very grateful for their help. My mum, dad, and kids are also very grateful. Last year GNAAS was called out 1062 times and needed to raise £5.1m. To find out how you can help, please visit www.gnaas.com or call 01768-899150.